Common conditions are summarized . 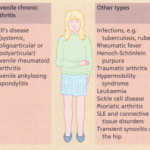 OA is common from the age of 50 years onwards but is easily distinguished from polymyalgia rheumatica by its less dramatic onset, peripheral distribution and normal ESR; if there is any doubt, a 1 week trial of prednisolone should be given. RA can begin in elderly patients. 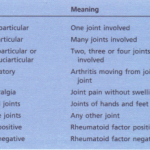 It is often sudden in onset, with very dramatic joint inflammation (‘explosive’ RA). Unlike the disease in young patients, it often responds very well to small doses of steroids (prednisolone 10-15 mg daily) and has a good prognosis. Pyrophosphate deposition is common in elderly patients, typically presenting as a painful swollen knee. 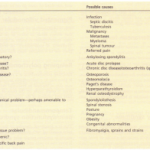 Gout and septic arthritis are other causes of acute problems in the elderly.